The Estado Novo (Portuguese pronunciation: [(ɨ)ʃˈtadu, -ðu ˈnovu], "New State"), or the Second Republic, was the corporatist far-right regime installed in Portugal in 1933. It was deeply rooted in Catholic social thought that was highly influential among both liberals and conservatives in Portugal. It evolved from the Ditadura Nacional ("National Dictatorship") formed after the coup d'état of 28 May 1926 against the democratic and unstable First Republic. Together, the Ditadura Nacional and the Estado Novo are recognised as the Second Portuguese Republic. The Estado Novo, greatly inspired by conservative and autocratic ideologies, was developed by António de Oliveira Salazar, President of the Council of Ministers of Portugal from 1932 to 1968, when illness forced him out of office. After 1945, his corporatist economic model was less and less useful and it retarded economic modernization. Opposed to communism, socialism, anarchism, fascism, liberalism and anti-colonialism,[a] the regime was corporatist, conservative, and nationalist in nature, defending Portugal's traditional Catholicism. Its policy envisaged the perpetuation of Portugal as a pluricontinental nation under the doctrine of lusotropicalism, with Angola, Mozambique, and other Portuguese territories as extensions of Portugal itself, and it being a supposed source of civilization and stability to the overseas societies in the African and Asian possessions. Under the Estado Novo, Portugal tried to perpetuate a vast, centuries-old empire with a total area of 2,168,071 square kilometres (837,097 sq mi), while other former colonial powers had largely already acceded to global calls for self-determination and independence. 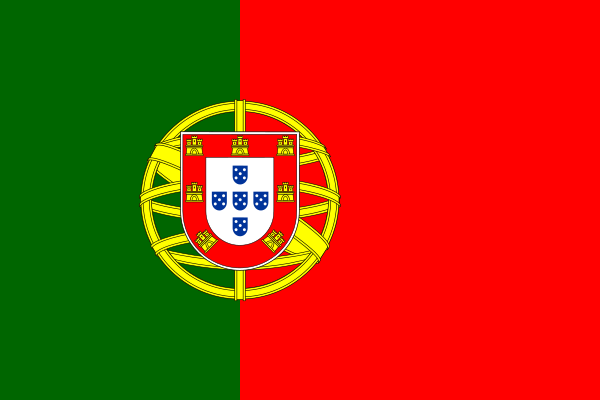 Portugal joined the United Nations (UN) in 1955, and was a founding member of NATO (1949), OECD (1961), and EFTA (1960). In 1968 Marcello Caetano was appointed the new head of government. On 25 April 1974, the Carnation Revolution in Lisbon, a military coup organised by left-wing Portuguese military officers – the Armed Forces Movement (MFA) – overthrew the Estado Novo regime. Fiercely criticised by most of the international community after World War II and decolonisation, it was one of the longest-surviving authoritarian regimes in Europe. By the fall of the Estado Novo in 1974, Portugal had the lowest per capita income in Western Europe, as well as the highest rate of preventable deaths and infant mortality rate in Europe. King Carlos I of Portugal confirmed colonial treaties of the 19th century that stabilized the situation in Portuguese Africa. These agreements were, however, unpopular in Portugal, where they were seen as being to the disadvantage of the country. In addition, Portugal was declared bankrupt twice—first on 14 June 1892 and again on 10 May 1902—causing industrial disturbances, socialist and republican antagonism, and press criticism of the monarchy. Carlos responded by appointing João Franco as Prime Minister and subsequently accepting Parliament's dissolution. In 1908, Carlos I was assassinated in Lisbon. The Portuguese monarchy lasted until 1910 when, through the 5 October revolution, it was overthrown and Portugal was proclaimed a republic. The overthrow of the Portuguese monarchy in 1910 led to a 16-year struggle to sustain parliamentary democracy under republicanism – the Portuguese First Republic (1910–1926). The 28 May 1926 coup d'état or, during the period of Estado Novo, the National Revolution (Portuguese: Revolução Nacional), was a military action that put an end to the chaotic Portuguese First Republic and initiated the Ditadura Nacional (National Dictatorship) (years later, renamed Estado Novo). With fascist organizations being popular and widely supported across many countries (like Italian Fascism and National Socialism) as an antagonist of communist ideologies, and while Franco subjected Spain’s fascist party to his personal control, Salazar in July 1934 dismantled the Portuguese fascist movement, Rolão Preto’s blue-shirted National Syndicalists. Salazar preferred to control his population through such “organic” institutions traditionally powerful in Portugal as the Church.His regime was not only non-fascist, but “voluntarily non-totalitarian,” preferring to let those of its citizens who kept out of politics “live by habit". António de Oliveira Salazar developed the Estado Novo as a right leaning Catholic corporatist. The basis of his regime was a platform of stability, in direct contrast to the unstable environment of the First Republic. The Portuguese corporatist state had some similarities to Benito Mussolini's Italian fascism, but considerable differences in its moral approach to governing. Although Salazar admired Mussolini and was influenced by his Labour Charter of 1927, he distanced himself from fascist dictatorship, which he considered a pagan Caesarist political system that recognised neither legal nor moral limits. Salazar also viewed German Nazism as espousing pagan elements that he considered repugnant. Just before World War II, Salazar made this declaration: "We are opposed to all forms of Internationalism, Communism, Socialism, Syndicalism and everything that may divide or minimise, or break up the family. We are against class warfare, irreligion and disloyalty to one's country; against serfdom, a materialistic conception of life, and might over right." According to some Portuguese scholars like Jaime Nogueira Pinto and Rui Ramos, his early reforms and policies changed the whole nation since they allowed political and financial stability and therefore social order and economic growth, after the politically unstable and financially chaotic years of the Portuguese First Republic (1910–1926). After the First Republic, when not even public order was achieved, this looked like an impressive breakthrough to most of the population; Salazar achieved his height in popularity at this point. This transfiguration of Portugal was then known as A Lição de Salazar – "Salazar's Lesson". Salazar's program was opposed to communism, socialism, and liberalism. It was pro-Catholic, conservative, and nationalistic. Its policy envisaged the perpetuation of Portugal as a pluricontinental empire, financially autonomous and politically independent from the dominating superpowers, and a source of civilization and stability to the overseas societies in the African and Asian possessions. The Estado Novo was an authoritarian regime with an integralist orientation, which differed greatly from fascist and clerical fascist regimes by its lack of expansionism, lack of a fanatical leader, lack of dogmatic party structure, and more moderate use of state force. Salazar was a Catholic traditionalist who believed in the necessity of control over the forces of economic modernization in order to defend the religious and rural values of the country, which he perceived as being threatened. One of the pillars of the regime was the PIDE, the secret police. Many political dissidents were imprisoned at the Tarrafal prison in the African archipelago of Cape Verde, on the capital island of Santiago, or in local jails. Strict state censorship was in place. Executive authority was nominally vested in a president, elected by popular vote for a five-year term. On paper, the president was vested with sweeping executive and legislative powers, making him a virtual dictator. In practice, however, the real power was held by the prime minister, Salazar. The legislature was a unicameral National Assembly, elected every four years. An advisory body, the Corporative Chamber, nominally represented economic, social and cultural organizations. While opposition candidates theoretically could stand for office after 1945, in practice the system was so heavily rigged in favour of the official party, the National Union, that they had no realistic chance of winning. The Estado Novo enforced nationalist and conservative Roman Catholic values on the Portuguese population. The whole education system was focused toward the exaltation of the Portuguese nation and its five-century old overseas territories (the Ultramar). The motto of the regime was "Deus, Pátria e Família" (meaning "God, Fatherland, and Family", and obviously intended as a counterpart to the French Revolution's "Liberté, égalité, fraternité"). It echoed instead the motto of Vichy France "Travail, Famille et Patrie" ("Work, Family and Fatherland") . After 1945, the main raison d'être of the regime became resistance to the wave of decolonization which swept Europe after the end of World War II. was not only powerful in its own right but it also fitted in an harmonized nicely with an older Portuguese history and political culture which emphasized a natural law tradition, patrimonialism, centralized direction and control, and the 'natural' orders and hierarchies of society. Salazar refused to sign the Anti-Comintern Pact promulgated by Nazi Germany in 1938 And kept a minimal role in international affairs. Internally, the Pro-Soviet Portuguese Communist Party was intensely persecuted. So were Anarchists, Liberals, Republicans, and anyone opposed to the regime. The National Union embraced a wide array of politics, passing through monarchism, corporatism, and nationalism. The Legião Nacional was a popular militia similar to the Italian Blackshirts. For young people, there was the Mocidade Portuguesa, an organization similar in organization to the Hitler Youth of Nazi Germany, but not in ideology. The Estado Novo made an effort to avoid racism and anti-Semitism. These two organizations were heavily supported by the State and imposed a martial style of life. Portugal was officially neutral in the Spanish Civil War (1936–39), but quietly furnished help to the nationalists of Francisco Franco. During World War II, 1939-1945, Portugal remained officially neutral, giving its highest priority to avoiding a Nazi invasion of the sort that was so devastating in most other European countries. The regime at first showed some pro-Axis sympathies; Salazar For example expressed approval for the German invasion of the Soviet Union. This support, however, can be mainly attributed to Salazar's staunch anti-communist position rather than actual support for Hitler, or the Nazi regime. From 1943 onward, Portugal favoured the Allies, leasing air bases in the Azores. Portugal reluctantly leased the Azores as a direct result of being threatened with invasion should Portugal not cater to the requests of the Allies. As an official neutral, Portugal traded with both sides. It cut off vital shipments of tungsten and rubber to Germany in 1944, after heavy pressure from the Allies. Lisbon was the base for International Red Cross operations aiding Allied POWs, and was the main air transit point between Britain and the U.S. In 1942, Australian troops briefly occupied Portuguese Timor, but were soon overwhelmed by invading Japanese. Salazar worked to regain control of East Timor, which came about after the Japanese surrender in 1945. After World War II, however, the corporatist economic model was less and less applicable. Nevertheless Salazar clung to it, thereby retarding the nation's long-term economic development. Salazar's postwar policy allowed some liberalization in politics, in terms of organized opposition with more freedom of the press. Opposition parties were tolerated to an extent, but they were also controlled, limited, and manipulated, with the result that they split into factions and never formed a united opposition. He permitted the formation of Movement of Democratic Unity (Movimento de Unidade Democrática) in 1945. It boycotted the election and Salazar won handily, on 18 November 1945. In 1949 Portugal became a founding member of NATO. President Óscar Carmona died in 1951 after 25 years in office and was succeeded by Francisco Craveiro Lopes. However, Lopes was not willing to give Salazar the free hand that Carmona had given him, and was forced to resign just before the end of his term in 1958. Naval Minister Américo Tomás, a staunch conservative, ran in the 1958 elections as the official candidate. General Humberto Delgado was the opposition candidate. Delgado was credited with only around 25% of the votes with 52.6% in favor of Tomás, despite the consensual opinion that Delgado would have won had the count been honest. Delgado had electrified the contest, previously seen by many as little better than a pantomime of democracy by declaring, when asked what he would do with Salazar, "Obviamente, demito-o!" ("Obviously, I'll sack him!"). He was well aware that the president's power to dismiss the prime minister was, on paper, the only check on Salazar's power. Delgado's rallies subsequently attracted vast crowds. Evidence later surfaced that the PIDE had stuffed the ballot boxes with votes for Tomás. After the elections, Delgado was expelled from the Portuguese Military, and took refuge in the Brazilian embassy before going into exile, spending much of it in Brazil and later in Algeria. To keep opposition candidates from coming to power in 1959, Salazar abolished direct election of presidents in favor of election by the National Assembly—which was firmly controlled by the regime—serving as an electoral college. On 23 January 1961, military officer and politician Henrique Galvão led the hijacking of the Portuguese passenger ship Santa Maria. The terrorist operation was successful as anti-regime propaganda but killed one man in the process. Galvão claimed that his intentions were to sail to the Overseas Province of Angola to set up in Luanda a renegade Portuguese Government in opposition to Salazar. Galvão released the passengers in negotiation with Brazilian officials in exchange for political asylum in Brazil. In 1962, the Academic Crisis occurred. The regime, fearing the growing popularity of both purely democratic and communist ideas among the students, carried out the boycott and closure of several student associations and organizations, including the important National Secretariat of Portuguese Students. Most members of this organization were opposition militants, among them many communists. The political activists who were anti-regime used to be investigated and persecuted by PIDE-DGS, the secret police, and according to the gravity of the offence, were usually sent to jail or transferred from one university to another in order to destabilize oppositionist networks and its hierarchical organization. The students, with strong support from the clandestine Portuguese Communist Party, responded with demonstrations which culminated on 24 March with a huge student demonstration in Lisbon, that was vigorously suppressed by the riot police. Marcelo Caetano, distinguished member of the regime and the incumbent rector of the University of Lisbon, resigned. The reluctance of many young men to embrace the hardships of the Portuguese Colonial War resulted in hundreds of thousands of Portuguese citizens each year leaving to seek economic opportunities abroad in order to escape conscription. In over 15 years, nearly one million emigrated to France, another million to the United States, many hundreds of thousands to Germany, Switzerland, the United Kingdom, Luxembourg, Venezuela, or Brazil. Political parties, such as the Socialist Party, persecuted at home, were established in exile. The only party which managed to continue (illegally) operating in Portugal during all the dictatorship was the Portuguese Communist Party. In 1964, Delgado founded the Portuguese National Liberation Front in Rome, stating in public that the only way to end the Estado Novo would be by a military coup, while many others advocated a national uprising approach. Delgado and his Brazilian secretary, Arajaryr Moreira de Campos, were murdered on 13 February 1965 in Spain after being lured into an ambush by PIDE. According to some Portuguese conservative scholars like Jaime Nogueira Pinto and Rui Ramos, Salazar's early reforms and policies allowed political and financial stability and therefore social order and economic growth, after the politically unstable and financially chaotic years of the Portuguese First Republic (1910–1926). Other historians like, the also left-wing politician, Fernando Rosas, point out that Salazar's policies from the 1930s to the 1950s, led to economic and social stagnation and rampant emigration, turning Portugal into one of the poorest countries in Europe, that was also thwarted by scoring lower on literacy than its peers of the Northern Hemisphere. Salazar suffered a stroke in 1968. As it was thought that he did not have long to live, Tomás replaced him with Marcelo Caetano, a reputed scholar of the University of Lisbon Law School, statesman and a distinguished member of the regime. Salazar was never informed of this decision, and reportedly died in 1970 still believing he was prime minister. Most of the people hoped Caetano would soften the edges of Salazar's authoritarian regime and modernize the already growing economy. Caetano moved on to foster economic growth and made important social improvements, such as the awarding of a monthly pension to rural workers who had never had the chance to pay social security. Some large scale investments were made at national level, such as the building of a major oil processing centre in Sines. The economy reacted very well at first, but into the 1970s some serious problems began to show, due in part to two-digit inflation (from 1970 and on) and to the effects of the 1973 oil crisis. However, the oil crisis of 1973 had a potentially beneficial effect to Portugal because the largely unexploited oil reserves that Portugal had in its overseas territories of Angola, and São Tomé and Príncipe were being developed at a fast pace. Although Caetano was fundamentally an authoritarian, he did make some efforts to open up the regime. Soon after taking power, he rebranded the regime as the "Social State", and slightly increased freedom of speech and the press. These measures did not go nearly far enough for a significant element of the population who had no memory of the instability which preceded Salazar. The people were also disappointed that Caetano was unwilling to open up the electoral system; the 1969 and 1973 elections saw the National Union—renamed People's National Action—sweep every seat, as before. However, Caetano had to expend all of his political capital to wring even these meager reforms had out of the hardliners in the regime—most notably Tomás, who was not nearly as content to give Caetano the free rein that he gave Salazar. Caetano was thus in no position to resist when Tomás and the other hardliners forced the end of the reform experiment in 1973. Salazar observing Edgar Cardoso's Santa Clara Bridge maquette in Coimbra. During the 1940s and 1950s, Portugal experienced economic growth due to increased raw material exports to the war-ravaged and recovering nations of Europe. Until the 1960s, however, the country remained very poor and largely underdeveloped due to its disadvantaged starting position and lack of effective policies to counter that situation. Salazar managed to discipline the Portuguese public finances, after the chaotic First Portuguese Republic of 1910–1926, but consistent economic growth and development remained scarce until well into the 1960s, when due to the influence of a new generation of technocrats with background in economics and technical-industrial know-how, the Portuguese economy started to take off with visible accomplishments in the people's quality of life and standard of living, as well as in terms of secondary and post-secondary education attainment. During the early period of Salazar's rule, a brand new road system was built, new bridges spanned the rivers, and an educational program was able to build a primary school in each Portuguese town (an idea developed and begun during the democratic First Republic). Some liberal economic reforms advocated by elements of the ruling party, which were successfully implemented under similar circumstances in neighboring Spain, were rejected out of fear that industrialization would destabilize the regime and its ideological base and would strengthen the Communists and other left-wing movements. In 1958, when the Portuguese government announced the 1959–64 Six-Year Plan for National Development, a decision had been reached to accelerate the country's rate of economic growth, a decision whose urgency grew with the outbreak of guerrilla warfare in Angola in 1961 and in Portugal's other African territories thereafter. Salazar and his policy advisers recognized that additional military expenditure needs, as well as increased transfers of official investment to the "overseas provinces", could only be met by a sharp rise in the country's productive capacity. Salazar's commitment to preserving Portugal's "multiracial, pluricontinental" state led him reluctantly to seek external credits beginning in 1962, an action from which the Portuguese treasury had abstained for several decades. Portuguese Military Expenses during the Colonial War:OFMEU – National Budget for Overseas Military Expenses; *conto – popular expression for "1000 $ (PTE)"
Beyond military measures, the official Portuguese response to the "winds of change" in the African colonies was to integrate them administratively and economically more closely with the mainland. This was accomplished through population and capital transfers, trade liberalization, and the creation of a common currency, the so-called Escudo Area. The integration program established in 1961 provided for the removal of Portugal's duties on imports from its overseas territories by January 1964. The latter, on the other hand, were permitted to continue to levy duties on goods imported from Portugal but at a preferential rate, in most cases 50 percent of the normal duties levied by the territories on goods originating outside the Escudo Area. The effect of this two-tier tariff system was to give Portugal's exports preferential access to its colonial markets. The economies of the overseas provinces, especially those of both the Overseas Province of Angola and Mozambique, boomed. EFTA member states since 1995. Former member states, now EU member states. Portugal joined the then EEC in 1986 (now the EU), leaving the EFTA where it was a founding member in 1960. The liberalization of the Portuguese economy gained a new impetus under Salazar's successor, Prime Minister Marcello José das Neves Caetano (1968–1974), whose administration abolished industrial licensing requirements for firms in most sectors and in 1972 signed a free trade agreement with the newly enlarged European Community. Under the agreement, which took effect at the beginning of 1973, Portugal was given until 1980 to abolish its restrictions on most community goods and until 1985 on certain sensitive products amounting to some 10 percent of the EC's total exports to Portugal. Starting in 1960, EFTA membership and a growing foreign investor presence contributed to Portugal's industrial modernization and export diversification between 1960 and 1973. Caetano moved on to foster economic growth and some social improvements, such as the awarding of a monthly pension to rural workers who had never had the chance to pay social security. Some large scale investments were made at national level, such as the building of a major oil processing center in Sines. Notwithstanding the concentration of the means of production in the hands of a small number of family-based financial-industrial groups, Portuguese business culture permitted a surprising upward mobility of university-educated individuals with middle-class backgrounds into professional management careers. Before the 1974 Carnation Revolution, the largest, most technologically advanced (and most recently organized) firms offered the greatest opportunity for management careers based on merit rather than by accident of birth. In 1960, at the initiation of Salazar's more outward-looking economic policy, Portugal's per capita GDP was only 38 percent of the European Community (EC-12) average; by the end of the Salazar period, in 1968, it had risen to 48 percent; and in 1973, under the leadership of Marcelo Caetano, Portugal's per capita GDP had reached 56.4 percent of the EC-12 average. On a long term analysis, after a long period of economic divergence before 1914, and a period of chaos during the First Republic, the Portuguese economy recovered slightly until 1950, entering thereafter on a path of strong economic convergence with the wealthiest economies of Western Europe, until the Carnation Revolution in April 1974. Portuguese economic growth in the period 1960 to 1973 under the Estado Novo regime (and even with the effects of an expensive war effort in African territories against independence guerrilla groups), created an opportunity for real integration with the developed economies of Western Europe. Through emigration, trade, tourism and foreign investment, individuals and firms changed their patterns of production and consumption, bringing about a structural transformation. Simultaneously, the increasing complexity of a growing economy raised new technical and organizational challenges, stimulating the formation of modern professional and management teams. By the early 1970s Portugal's fast economic growth with increasing consumption and purchase of new automobiles set the priority for improvements in transportation. Brisa – Autoestradas de Portugal was founded in 1972 and the State granted the company a 30-year concession to design, build, manage, and maintain a modern network of express motorways. The economy of Portugal and its overseas territories on the eve of the Carnation Revolution (a military coup on 25 April 1974) was growing well above the European average. Average family purchasing power was rising together with new consumption patterns and trends and this was promoting both investment in new capital equipment and consumption expenditure for durable and nondurable consumer goods. The Estado Novo regime economic policy encouraged and created conditions for the formation of large and successful business conglomerates. Economically, the Estado Novo regime maintained a policy of corporatism that resulted in the placement of a big part of the Portuguese economy in the hands of a number of strong conglomerates, including those founded by the families of António Champalimaud (Banco Pinto & Sotto Mayor, Cimpor), José Manuel de Mello (CUF – Companhia União Fabril, Banco Totta & Açores), Américo Amorim (Corticeira Amorim) and the dos Santos family (Jerónimo Martins). Those Portuguese conglomerates had a business model with similarities to Japanese keiretsus and zaibatsus. The Companhia União Fabril (CUF) was one of the largest and most diversified Portuguese conglomerates with its core businesses (cement, chemicals, petrochemicals, agrochemicals, textiles, beer, beverages, metallurgy, naval engineering, electrical engineering, insurance, banking, paper, tourism, mining, etc.) and corporate headquarters located in mainland Portugal, but also with branches, plants and several developing business projects all around the Portuguese Empire, especially in the Portuguese territories of Angola and Mozambique. Other medium-sized family companies specialized in textiles (for instance those located in the city of Covilhã and the northwest), ceramics, porcelain, glass and crystal (like those of Alcobaça, Caldas da Rainha and Marinha Grande), engineered wood (like SONAE near Porto), canned fish (like those of Algarve and the northwest), fishing, food and beverages (alcoholic beverages, from liqueurs like Licor Beirão and Ginjinha, to beer like Sagres, were produced across the entire country, but Port Wine was one of its most reputed and exported alcoholic beverages), tourism (well established in Estoril/Cascais/Sintra and growing as an international attraction in the Algarve since the 1960s) and in agriculture (like the ones scattered around the Alentejo – known as the breadbasket of Portugal) completed the panorama of the national economy by the early 1970s. In addition, the rural population was committed to agrarianism—greatly important for a majority of the total population, with many families living exclusively from agriculture or complementing their salaries with farming, husbandry and forestry yields. Besides that, the overseas territories were also displaying impressive economic growth and development rates from the 1920s onwards. Even during the Portuguese Colonial War (1961–1974), a counterinsurgency war against independentist guerrilla and terrorism, the overseas territories of Angola and Mozambique (Portuguese Overseas Provinces at the time) had continuous economic growth rates and several sectors of its local economies were booming. They were internationally notable centres of production of oil, coffee, cotton, cashew, coconut, timber, minerals (like diamonds), metals (like iron and aluminium), banana, citrus, tea, sisal, beer (Cuca and Laurentina were successful beer brands produced locally), cement, fish and other sea products, beef and textiles. Tourism was also a fast developing activity in Portuguese Africa both by the growing development of and demand for beach resorts and wildlife reserves. While the counterinsurgency war was won in Angola, it was less than satisfactorily contained in Mozambique and dangerously stalemated in Portuguese Guinea from the Portuguese point of view, so the Portuguese Government decided to create sustainability policies in order to allow continuous sources of financing for the war effort in the long run. On 13 November 1972, a sovereign wealth fund (Fundo do Ultramar - The Overseas Fund) was enacted through the Decree Law Decreto-Lei n.º 448/ /72 and the Ministry of Defense ordinance Portaria 696/72, in order to finance the counterinsurgency effort in the Portuguese overseas territories. In addition, new Decree Laws (Decree Law: Decretos-Leis n.os 353, de 13 de Julho de 1973, e 409, de 20 de Agosto) were enforced in order to cut down military expenses and increase the number of officers by incorporating irregular militia as if they were regular military academy officers. Labour unions were not allowed and a minimum wage policy was not enforced. However, in a context of an expanding economy, bringing better living conditions for the Portuguese population in the 1960s, the outbreak of the colonial wars in Africa set off significant social changes, among them the rapid incorporation of more and more women into the labour market. Marcelo Caetano moved on to foster economic growth and some social improvements, such as the awarding of a monthly pension to rural workers who had never had the chance to pay social security. The objectives of Caetano's pension reform were threefold: enhancing equity, reducing fiscal and actuarial imbalance, and achieving more efficiency for the economy as a whole, for example, by establishing contributions less distortive to labour markets or by allowing the savings generated by pension funds to increase the investments in the economy. In 1969, with the replacement of Salazar by Marcelo Caetano, the Estado Novo-controlled nation got indeed a very slight taste of democracy and Caetano allowed the formation of the first democratic labour union movement since the 1920s. The University of Coimbra General Library main building – Edifício Novo (New Building, 1962) in the Alta Universitária, Coimbra. Until the 1960s, post-primary education was limited to a tiny elite. In general, teenagers used to leave school and start to work early. In contrast with other European nations, the country had had a poor record in educational policies since the 19th century. By the end of the 19th century the illiteracy rate was at over 80 percent and higher education was reserved for a small percentage of the population. 68.1 percent of Portugal's population was still classified as illiterate by the 1930 census. Portugal's literacy rate by the 1940s and early 1950s remained low for North American and Western European standards at the time. However, in the 1960s the country made public education available for all children between the ages of six and twelve, founded universities in the overseas provinces of Angola and Mozambique (the University of Luanda and the University of Lourenço Marques during the period of Adriano Moreira as Minister of the Overseas Provinces), recognized the Portuguese Catholic University in 1971, and by 1973 a wave of new state-run universities were founded across mainland Portugal (the Minho University, the New University of Lisbon, the University of Évora, and the University of Aveiro – Veiga Simão was the Minister in charge for education by then). In addition, the long established Lisbon and Coimbra universities were highly expanded and modernized in the 1960s. New buildings and campuses were constructed, like the Cidade Universitária (Lisbon) and the Alta Universitária (Coimbra). The last two decades of the Estado Novo, from the 1960s to the 1974 Carnation Revolution, were marked by strong investment in secondary and university education, which experienced in this period one of the fastest growth rates of Portuguese education history to date. Though this corresponded to significant growth of post-primary enrollment in larger urban areas, yet there was a gap to be filled in the following years, given the little time to overcome their disadvantaged starting position. The massification of secondary education was only achieved in the late 1970s and 1980s, so by the time of the Carnation Revolution in 1974 illiteracy was receding, but low-literacy and illiteracy was still high, compared with the highest standards already achieved by the most developed countries in the world. Egas Moniz, a Portuguese physician who developed the cerebral angiography and leucotomy, received in 1949 the Nobel Prize in Physiology or Medicine – even now, the only Portuguese recipient of a Nobel in the sciences. Memorial at the churchyard Cemitério dos Prazeres in Lisbon for one of the many actions against the regime of Salazar; Operation Vagô where leaflets were spread over several Portuguese cities from a TAP plane in 1961. The text says: "When the dictatorship is a reality, the revolution is a right." After India achieved independence in 1947 under the Attlee government, pro-Indian residents of the Portuguese overseas territory of Dadra and Nagar Haveli, with the support of the Indian government and the help of pro-independence organizations, liberated Dadra and Nagar Haveli from Portuguese rule in 1954. In 1961, the fort of São João Baptista de Ajuda's annexation by the Republic of Dahomey was the start of a process that led to the final dissolution of the centuries-old Portuguese Empire. According to the census of 1921 São João Baptista de Ajudá had 5 inhabitants and, at the moment of the ultimatum by the Dahomey Government, it had only 2 inhabitants representing Portuguese Sovereignty. Another forcible retreat from overseas territories occurred in December 1961 when Portugal refused to relinquish the territories of Goa, Daman and Diu. As a result, the Portuguese army and navy were involved in armed conflict in its colony of Portuguese India against the Indian Armed Forces. The operations resulted in the defeat of the limited Portuguese defensive garrison, which was forced to surrender to a much larger military force. The outcome was the loss of the remaining Portuguese territories in the Indian subcontinent. The Portuguese regime refused to recognize Indian sovereignty over the annexed territories, which continued to be represented in Portugal's National Assembly. The so-called "Winds of Change" concerning historical colonization in Europe-ruled overseas territories, started to have influence over the centuries-old empire. The end of the Estado Novo effectively began with the uprisings in the overseas territories in Africa during the 1960s. The independence movements active in Portuguese Angola, Portuguese Mozambique and Portuguese Guinea were supported by both the United States and the Soviet Union, which both wanted to end all colonial empires and expand their own spheres of influence. For the Portuguese ruling regime, the centuries-old overseas empire was a matter of national interest. The criticism against some kinds of racial discrimination in the Portuguese African territories were refuted on the grounds that all Portuguese Africans would be Westernized and assimilated in due time, through a process called civilising mission. The wars had the same effects in Portugal as the Vietnam War in the United States, or the Afghanistan War in the Soviet Union; they were unpopular and expensive lengthy wars which were isolating Portugal's diplomacy, leading many to question the continuation of the war and, by extension, the government. Although Portugal was able to maintain some superiority in the colonies by its use of elite paratroopers and special operations troops, the foreign support to the guerrillas, including arms embargoes and other sanctions against the Portuguese, made them more maneuverable, allowing them to inflict losses on the Portuguese army. The international community isolated Portugal due to the long-lasting Colonial War. The situation was aggravated by the illness of Salazar, the strong man of the regime, in 1968. His replacement was one of his closest advisors, Marcelo Caetano, who tried to slowly democratize the country, but could not hide the obvious dictatorship that oppressed Portugal. Salazar died in 1970. After spending the early years of his priesthood in Africa, the British priest Adrian Hastings created a storm in 1973 with an article in The Times about the "Wiriyamu massacre" in Mozambique, revealing that the Portuguese Army had massacred some 400 villagers at the village of Wiriyamu, near Tete, in December 1972. His report was printed a week before the Portuguese prime minister, Marcelo Caetano, was due to visit Britain to celebrate the 600th anniversary of the Anglo-Portuguese Alliance. Portugal's growing isolation following Hastings's claims has often been cited as a factor that helped to bring about the "carnation revolution" coup which deposed the Caetano regime in 1974. The various conflicts forced the Salazar and subsequent Caetano governments to spend more of the country's budget on colonial administration and military expenditures, and Portugal soon found itself increasingly isolated from the rest of the world. After Caetano succeeded to the presidency, the colonial war became a major cause of dissent and a focus for anti-government forces in Portuguese society. Many young dissidents, such as left-wing students and anti-war activists, were forced to leave the country so they could escape imprisonment or conscription. However, between 1945 and 1974, there were also three generations of militants of the radical right at the Portuguese universities and schools, guided by a revolutionary nationalism partly influenced by the political sub-culture of European neofascism. The core of the struggle of these radical students lay in an uncompromising defence of the Portuguese Empire in the days of the authoritarian regime. By the early 1970s, the Portuguese Colonial War continued to rage on, requiring a steadily increasing budget. The Portuguese military was overstretched and there was no political solution or end in sight. While the human losses were relatively small, the war as a whole had already entered its second decade. The Portuguese ruling regime of Estado Novo faced criticism from the international community and was becoming increasingly isolated. It had a profound impact on Portugal – thousands of young men avoided conscription by emigrating illegally, mainly to France and the US. The war in the colonies was increasingly unpopular in Portugal itself as the people became weary of war and balked at its ever-rising expense. Many ethnic Portuguese of the African overseas territories were also increasingly willing to accept independence if their economic status could be preserved. However, despite the guerrillas' unpredictable and sporadic attacks against targets all over the countryside of the Portuguese African territories, the economies of both Portuguese Angola and Mozambique were booming, cities and towns were expanding and prospering steadily over time, new transportation networks were being opened to link the well-developed and highly urbanized coastal strip with the more remote inland regions, and the number of ethnic European Portuguese migrants from mainland Portugal (the metrópole) increased rapidly since the 1950s (although always as a small minority of each territory's total population). Suddenly, after some failed attempts of military rebellion, in April 1974 the Carnation Revolution in Lisbon, organized by left-wing Portuguese military officers – the Armed Forces Movement (MFA), overthrew the Estado Novo regime. The military-led coup can be described as the necessary means of bringing back democracy to Portugal, ending the unpopular Colonial War where thousands of Portuguese soldiers had been commissioned, and replacing the authoritarian Estado Novo (New State) regime and its secret police which repressed elemental civil liberties and political freedoms. However, the military coup's organization started as a professional class protest of Portuguese Armed Forces captains against a decree law: the Dec. Lei nº 353/73 of 1973. Younger military academy graduates resented a program introduced by Marcello Caetano whereby militia officers who completed a brief training program and had served in the overseas territories' defensive campaigns, could be commissioned at the same rank as military academy graduates. Caetano's Portuguese Government had begun the program (which included several other reforms) in order to increase the number of officials employed against the African insurgencies, and at the same time cut down military costs to alleviate an already overburdened government budget. After the coup, the MFA-led National Salvation Junta, a military junta, took power. Caetano resigned, and was flown under custody to the Madeira Islands where he stayed for a few days. He then flew to exile in Brazil. By 1975 the Portuguese Empire had all but collapsed. After the Estado Novo the country would then experience a turbulent period of provisional governments and a nearly disintegrated state reminiscent of the First Republic, a condition that the Estado Novo had so assiduously attempted to avoid. These provisional governments also briefly censored newspapers and detained oppositionists. Historian Kenneth Maxwell considers that, for many reasons, Portugal, in its transition from authoritarian rule to a more democratic government, resembled Nicaragua more than any other among the South American nations. During the final months of the Francoist State, which had survived to this point, Spain considered invading Portugal to check the perceived threat of communism caused by the Carnation Revolution. After a period of social unrest, factionalism, and uncertainty in Portuguese politics, between 1974 and 1976, neither far left nor far right radicalism prevailed. However, pro-communist and socialist elements retained control of the country for several months before elections. Álvaro Cunhal's Portuguese Communist Party (PCP) remained Stalinist in outlook and unsympathetic to the sort of reforms that were emerging as "Euro-Communism" in other countries in Western Europe. The retreat from the colonies and the acceptance of its independence terms which would create newly independent communist states in 1975 (most notably the People's Republic of Angola and the People's Republic of Mozambique) prompted a mass exodus of Portuguese citizens from Portugal's African territories (mostly from Portuguese Angola and Mozambique), creating over a million destitute Portuguese refugees — the retornados. By 1975, all the Portuguese African territories were independent and Portugal held its first democratic elections in 50 years. However, the country continued to be governed by a military-civilian provisional administration until the Portuguese legislative election of 1976. For the Portuguese and their former colonies, this was a very difficult period, but many felt that the short-term effects of the Carnation Revolution were well worth the trouble when civil rights and political freedoms were achieved. The Portuguese celebrate Freedom Day on 25 April every year, and the day is a national holiday in Portugal. By refusing to grant independence to its overseas territories in Africa, the Portuguese ruling regime of Estado Novo was criticized by most of the international community, and its leaders Salazar and Caetano were accused of being blind to the "Winds of change". After the Carnation revolution in 1974 and the fall of the incumbent Portuguese authoritarian regime, almost all the Portugal-ruled territories outside Europe became independent. For the regime, the retention of those overseas possessions had been a matter of national interest. ^ Before WWII, Salazar declared: "We are opposed to all forms of Internationalism, Communism, Socialism, Syndicalism and everything that may divide or minimize, or break up the family. We are against class warfare, irreligion and disloyalty to one’s country; against serfdom, a materialistic conception of life, and might over right". Salazar criticized Fascist dictatorship that according to his opinion was leaning towards pagan Caesarism and towards a new state which recognized no limitations of legal moral order. ^ Howard J. Wiarda, Corporatism and development: the Portuguese experience (U of Massachusetts Press, 1977). ^ Perreira Gomes, Isabel; Amorim, José Pedro; Correira, José Alberto; Menezes, Isabel (1 January 2016). "The Portuguese literacy campaigns after the Carnation Revolution (1974-1977)". Journal of Social Science Education. 14 (2): 69–80. Retrieved 16 January 2018. ^ Neave, Guy; Amaral, Alberto (21 December 2011). Higher Education in Portugal 1974-2009: A Nation, a Generation (2012 ed.). Springer Science & Business Media. pp. 95, 102. ISBN 978-9400721340. Retrieved 16 January 2018. ^ Whitman, Alden (28 July 1970). "Antonio Salazar: A Quiet Autocrat Who Held Power in Portugal for 40 Years". New York Times. New York Times. Retrieved 19 January 2018. ^ a b Paxton 2004, p. 150. ^ Howard J. Wiarda, "The Portuguese Corporative System: Basic Structures and Current Functions." Iberian studies 2#2 1973) pp 73-80, quoting page 74. ^ Patrick G. Zander (2016). The Rise of Fascism: History, Documents, and Key Questions. ABC-CLIO. pp. 186, 193. ISBN 9781610698009. ^ Ian Dear, and M.R.D. Foot, eds. The Oxford Companion to World War II (1995) pp 910-911. ^ Sonny B. Davis, "Salazar, Timor, and Portuguese Neutrality in World War II," Portuguese Studies Review (2005) 13#1 pp 449-476. ^ Lawrence S. Graham; Harry M. Makler (2014). Contemporary Portugal: The Revolution and Its Antecedents. University of Texas Press. p. 197. ^ Peter Chalk (2012). Encyclopedia of Terrorism. ABC-CLIO. p. 903. ISBN 9780313385353. ^ Stephen L. Weigert (2011). Angola: A Modern Military History, 1961-2002. Palgrave Macmillan. pp. 50–51. ISBN 9780230337831. ^ Rosas, Fernando, Fernando Martins, Luciano do Amaral, Maria Fernanda Rollo, and José Mattoso. O Estado Novo (1926-1974). Estampa, 1998. ^ a b (in Portuguese) Movimento das Forças Armadas (MFA). In Infopédia [Em linha]. Porto: Porto Editora, 2003–2009. [Consult. 2009-01-07]. Disponível na www: <URL: http://www.infopedia.pt/$movimento-das-forcas-armadas-(mfa)>. ^ (in Portuguese) A Guerra Colonial na Guine/Bissau (07 de 07), Otelo Saraiva de Carvalho on the Decree Law, RTP 2 television, youtube.com. ^ A direita radical na Universidade de Coimbra (1945–1974) Archived 3 March 2009 at the Wayback Machine, MARCHI, Riccardo. A direita radical na Universidade de Coimbra (1945-1974). Anál. Social, Jul. 2008, nº 188, pp. 551–76. ISSN 0003-2573. ^ Govan, Fiona (2008). "Gen Franco wanted to declare war on Portugal". The Telegraph. Madrid. Retrieved 28 April 2015. ^ Scott B. MacDonald (1993). European Destiny, Atlantic Transformations: Portuguese Foreign Policy Under the Second Republic, 1974-1992. Transaction Publishers. p. 81. ISBN 9781412822961. The 1936 naval revolt (Portuguese: Revolta dos Marinheiros de 1936) or Mutiny on the Tagus ships (Motim dos Barcos do Tejo) was a mutiny in Portugal that occurred on 8 September 1936 aboard the aviso Afonso de Albuquerque and destroyer Dão. It was organized by the Revolutionary Organization of the Fleet (Organização Revolucionária da Armada, ORA), a left-wing group with links to the Portuguese Communist Party. The mutineers intended to demand António de Oliveira Salazar's resignation and were apparently inspired by the ongoing Spanish Civil War. The 28 May 1926 coup d'état, sometimes called 28 May Revolution or, during the period of the authoritarian Estado Novo (English: New State), the National Revolution (Portuguese: Revolução Nacional), was a military coup of a nationalist origin, that put an end to the unstable Portuguese First Republic and initiated 48 years of authoritarian rule in Portugal. The regime that immediately resulted from the coup, the Ditadura Nacional (National Dictatorship), would be later refashioned into the Estado Novo, which in turn would last until the Carnation Revolution in 1974.The chronic political instability and government's neglect of the army created opportunities for military plots. Already in 1925 there were two failed coup attempts on April 18 and July 19. The plotters were acquitted by military court. During winter of 1925 and spring 1926 a group of junior officers planned a new coup and were looking for a senior officer to be the figurehead of their movement. They decided on General Manuel de Oliveira Gomes da Costa, who agreed to join the plotters on May 25.The revolution started in Braga, commanded by General Manuel Gomes da Costa, followed immediately in Porto, Lisbon, Évora, Coimbra and Santarém. The revolution triumphed when General Gomes da Costa marched on Lisbon along with 15,000 men, being acclaimed by the people of the city. The Academic Crisis is the name given to a Portuguese governmental policy instigated in 1962 by the Portuguese dictatorial regime (the Estado Novo) entailing the boycott and closure of several student associations and organizations, including the National Secretariat of Portuguese Students. Most members of this organization were opposition militants, among them many communists. The political activists who were anti-regime used to be investigated and persecuted by PIDE-DGS, the secret police, and according to the gravity of the offence, were usually sent to jail or transferred from one university to another in order to destabilize oppositionist networks and its hierarchical organization. The students responded with demonstrations that culminated on March 24 with a huge student demonstration in Lisbon that was vigorously suppressed by the riot police, which led to hundreds of student injuries. Immediately thereafter, the students began a strike that became a mark in the resistance against the regime. This events were called Academic Crisis (Portuguese: Crise Académica). Marcelo Caetano, distinguished member of the Estado Novo regime and a reputed professor at the University of Lisbon Law School, was the 9th Rector of the University of Lisbon from 1959 on, but the Academic Crisis of 1962 led him to resign after protesting students clashed with riot police in the university's campus. Caetano would be appointed the successor of António de Oliveira Salazar, the mentor and leader of Estado Novo, in 1968. However, between 1945 and 1974, there were three generations of militants of the radical right at the University of Coimbra and other universities, guided by a revolutionary nationalism partly influenced by the political sub-culture of European neofascism. The core of these radical students' struggle lay in an uncompromising defence of the Portuguese Empire in the days of the authoritarian regime.After the Carnation Revolution of 1974, 24 March would become the National Day of the Students, being celebrated every year, mainly by university students. Certification of Able Seamen Convention, 1946 is an International Labour Organization Convention. The Ditadura Nacional (Portuguese pronunciation: [ditɐˈðuɾɐ nɐsiuˈnaɫ], National Dictatorship) was the name given to the regime that governed Portugal from 1928, after the re-election of General Óscar Carmona to the post of President, until 1933. The preceding period of military dictatorship that started after the 28 May 1926 coup d'état, is known as Ditadura Militar (Military Dictatorship). After adopting a new constitution in 1933, the regime changed its name to Estado Novo (New State). The Ditadura Nacional, together with the Estado Novo, forms the historical period of the Portuguese Second Republic (1926–1974). Food and Catering (Ships' Crews) Convention, 1946 is an International Labour Organization Convention. The Iberian Pact (Pacto Ibérico), formally the Portuguese–Spanish Treaty of Friendship and Non-Aggression was a non-aggression pact signed at Lisbon on 17 March 1939 by the nationalist governments of Portugal and Spain. At the time, Spain was in the midst of the final stage of the Civil War. By 1 April all of Spain was under the control of—and most of the international community had recognised the authority of—General Francisco Franco. Portugal under António de Oliveira Salazar had lent tacit support to Franco during the Civil War. The Iberian Pact committed the two countries to defend the Iberian Peninsula against any power that attacked either country and helped to ensure Iberian neutrality in the event of a general European war. An additional protocol to the pact was signed on 29 July 1940, after the fall of France. The Portuguese Legion (Portuguese: Legião Portuguesa) was a Portuguese paramilitary state organization founded in 1936 during the Portuguese President of the Council´s António de Oliveira Salazar's right-wing regime, the Estado Novo. It was dissolved in 1974. Its stated objectives were to "defend the spiritual heritage [of Portugal]" and to "fight the communist threat and anarchism". The Portuguese Legion was under the control of the Ministry of the Interior and War, and was responsible for coordinating civil defense in Portuguese territory, including in the Portuguese Empire. It was deeply involved in multiple collaborations with PIDE, the political police. They used the Roman salute and also used to shout the name of Salazar in their parades. The Mocidade Portuguesa (Portuguese pronunciation: [musiˈðað(ɨ) puɾtuˈɣezɐ], English: Portuguese Youth) was a Portuguese youth organization founded in 1936 (dissolved in 1974) during the Portuguese President of the Council´s António de Oliveira Salazar's far-right-wing regime, the Estado Novo. Membership was compulsory between the ages of 7 and 14, and voluntary until the age of 25. The Montreux Convention Regarding the Abolition of the Capitulations in Egypt was an international convention concluded on May 8, 1937, which led to the abolition of the extraterritorial legal system for foreigners in Egypt, known as the capitulations. It was signed by the governments of Egypt, the United States of America, Belgium, the United Kingdom, Denmark, Spain (the Republican side in the civil war), France, Greece, Italy, Ethiopia, Norway, the Netherlands, Portugal and Sweden. It went into effect on October 15, 1937, and was registered in League of Nations Treaty Series on the same day. The National Union was formed as a subservient umbrella organisation to support the regime itself, and therefore did not have its own philosophy. At the time, many European countries feared the destructive potential of communism. Salazar not only forbade Marxist parties, but also revolutionary fascist-syndicalist parties. In 1934, Salazar exiled Francisco Rolão Preto as a part of a purge of the leadership of the Portuguese National Syndicalists, also known as the camisas azuis ("Blue Shirts"). Salazar denounced the National Syndicalists as "inspired by certain foreign models" (meaning German Nazism) and condemned their "exaltation of youth, the cult of force through direct action, the principle of the superiority of state political power in social life, [and] the propensity for organising masses behind a single leader" as fundamental differences between fascism and the Catholic corporatism of the Estado Novo.The Portuguese corporatist state had some similarities to Benito Mussolini's Italian fascism, but considerable differences in its moral approach to governing. Although Salazar admired Mussolini and was influenced by his Labour Charter of 1927, he distanced himself from fascist dictatorship, which he considered a pagan Caesarist political system that recognised neither legal nor moral limits. Salazar also viewed German Nazism as espousing pagan elements that he considered repugnant. Just before World War II, Salazar made this declaration: "We are opposed to all forms of Internationalism, Communism, Socialism, Syndicalism and everything that may divide or minimise, or break up the family. We are against class warfare, irreligion and disloyalty to one's country; against serfdom, a materialistic conception of life, and might over right. "Unlike Mussolini or Hitler, Salazar never had the intention to create a party-state. Salazar was against the whole-party concept and when in 1930 he created the National Union he created it as a non-party. The National Union was set up to control and restrain public opinion rather than to mobilize it, the goal was to strengthen and preserve traditional values rather than to induce a new social order. Ministers, diplomats and civil servants were never compelled to join the National Union. The PIDE or International and State Defense Police (Portuguese: Polícia Internacional e de Defesa do Estado) was a Portuguese security agency that existed during the Estado Novo regime of António de Oliveira Salazar. Formally, the main roles of the PIDE were the border, immigration and emigration control and internal and external State security. However, it became more known by its secret police activities. The agency that would later become the PIDE was established by the Decree-Law 22992 of August 1933, as the Surveillance and State Defense Police or PVDE. It resulted from the merger of two former agencies, the Portuguese International Police and the Political and Social Defense Police. The PVDE was transformed into the PIDE in 1945. PIDE was itself transformed into the Directorate-General of Security or DGS in 1968. After the 25 April 1974 Carnation Revolution, DGS was disbanded in Portugal, but continued to exist transitionally in the Portuguese overseas territories as the Military Information Police or PIM, being finally completely disbanded in 1975. Although the acronym PIDE was only formally used from 1945 to 1969, the set of successive secret polices that existed during the 40 years of the Estado Novo regime are commonly referred to as the PIDE. Historically, this set of police agencies is also often referred as PIDE/DGS, from the acronyms of its two last designations. It is referred in this last way in article 293 of the Portuguese Constitution, which states the criminalization and judgment of its former officers. During its existence, the organization was known for its actions during the Spanish Civil War, its role as a political police, its counter-espionage activities during World War II and its counter-insurgency operations in the Portuguese Colonial War. On 28 August 1952 the then NATO member states signed the Paris Protocol in Paris. the status of allied and national headquarters and respective procedures. The Protocol is part of the so-called NATO legal acquis. All NATO member states have ratified the protocol, except Canada, which signed but did not ratify it. France ratified the protocol in 1955 but denounced its ratification in 1966. Pluricontinentalism (Portuguese: Pluricontinentalismo) was a geopolitical concept, positing that Portugal was a transcontinental country and a unitary nation-state consisting of continental Portugal and its overseas provinces. With origins as early as the 14th century, pluricontinentalism gained official state sponsorship in the Estado Novo regime. It was the idea that Portugal was not a colonial empire (Portuguese Empire), but a singular nation state spread across continents (hence the name).The first time that Portugal was a pluricontinental country was during the reign of Maria I of Portugal, with the creation of the United Kingdom of Portugal, Brazil, and the Algarves. The Santa Maria hijacking was carried out on 22 January 1961 when Portuguese and Spanish political rebels seized control of a Portuguese passenger ship, aiming to force political change in Portugal. The action was also known as Operation Dulcinea, the code name given by its chief architect and leader, Portuguese military officer, writer and politician Henrique Galvão, who had been exiled in Caracas, Venezuela since 1959. After United States naval intervention, the ship arrived in Brazil, and the hijacking ended on 2 February when the rebels were given political asylum there. The State Surveillance and Defense Police (Polícia de Vigilância e Defesa do Estado) (PVDE) was a police force of the Portuguese State, which operated between 1933 and 1945. The PVDE was responsible for border surveillance, control of foreigners, immigration control, and state security. Tarrafal (also known as Campo da Morte Lenta in Portuguese ["Camp of the Slow Death"]) was a prison camp in the Portuguese colony of Cape Verde. The penal colony was established by the Portuguese dictator António de Oliveira Salazar following the outbreak of the Spanish Civil War in 1936. It housed opponents to Portugal's right-wing authoritarian regime. Due to the harsh conditions, at least 32 political prisoners died in the camp. Yves Guérin-Sérac, real name Yves Guillou (alias Jean-Robert de Guernadec, alias Ralf) (born 1926 in Ploubezre) was a French anti-Communist Roman Catholic activist, former officer of the French army and veteran of the First Indochina War (1945–54), the Korean War (1950–53) and the Algerian War of Independence (1955–62). He was also a member of the elite troop of the 11ème Demi-Brigade Parachutiste du Choc, which worked with the SDECE (French intelligence agency), and a founding member of the Organisation armée secrète (OAS), a French terrorist group based in Spain which fought against Algerian independence in 1961-62. It was alleged that he was an instigator of the so-called strategy of tension in Italy, and the main organizer of the 1969 Piazza Fontana bombing.